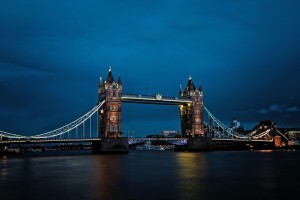 Searching for an airport transfer to London Bridge station transfer? Definitely 247 Heathrow Aiport Transfer it is your best option. A one hour journey from the airport can be easily made with the company that provides to the customers a safe and nice transfer, in clean cars and professional drivers. With a rate of over 90% on the satisfaction level of the customers and 6 years experience in airport transfers, 247 airport transfer has become one of the best minicab company on Heathrow Airport. One of the most accessible cities in the world, London has many available options for transfers within the city (public or private). London Bridge Station is a central London Station, one of the 17 stations that are managed by Network Rail. Being the oldest railway station in central London and one of the oldest in the world, London Bridge Station is also the fourth busiest station within the UK, with over 55 million passengers during the year. The station serves the jubilee line and the Northern Line, with the main entrance on Tooley Street, as well as entrances and exits on Borough High Street. If you are in search of a relaxing and fast way to travel from Heathrow to London Bridge station transfer, 247 Heathrow Airport Transfer is your best option as it is a company which offers the customers a variety of vehicles to choose, from saloon to 8 seater cars, also Minibus or Coach up to 49 passengers. – Nice, clean and new cars with well-dressed drivers. There are several ways to travel between Heathrow Airport and London Bridge station such as buses, tub or transfers. Booking a Heathrow to London Bridge station transfer is easy as you can access our website on the section get price and with some clicks, you can reserve the suitable car type for you transfer. If you are a group or traveling by night then our company is the best option. We provide a variety of vehicles types including Executive options or 8 seaters that can fit up to 8 passengers with luggage. Moreover, we are the best way to reach your destination in time and you will have a stress free journey. Remember that we will pick you up in the arrivals area of the terminal and the driver will have a name board printed with your name. 247 Heathrow Airport Transfer is looking forward to work with you, we are at your disposal 24/7.